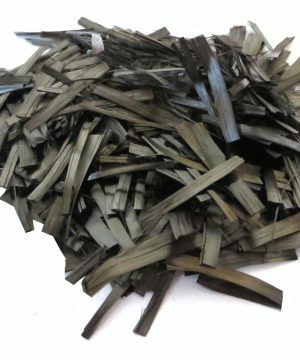 The main application of chopped fibers is mixture of fiber-reinforced concrete. Fiber Reinforced Concrete can be defined as a composite material consisting of mixtures of cement, mortar or concrete and discontinuous, discrete, uniformly dispersed suitable fibers. 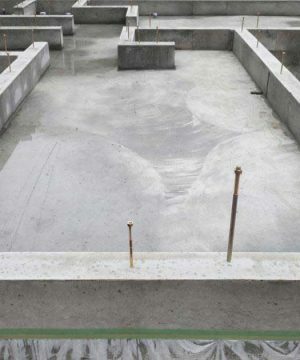 Fiber reinforced concrete are of different types and properties with many advantages. 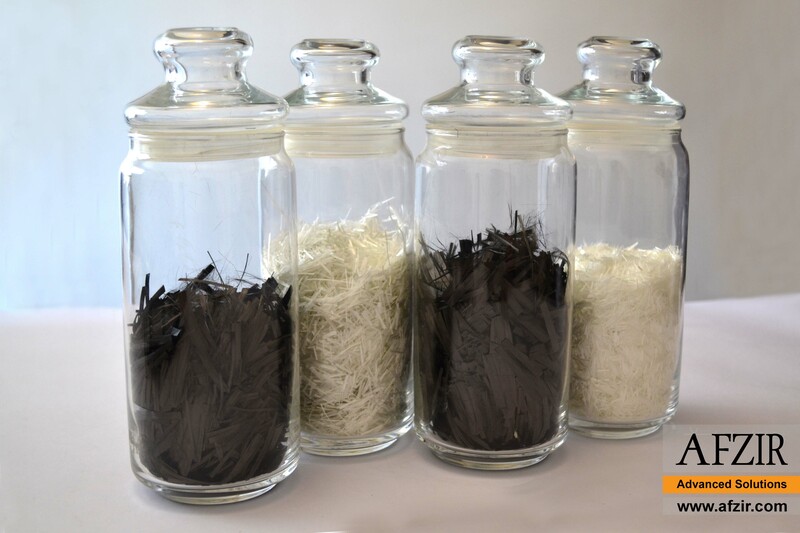 Continuous meshes, woven fabrics and long wires or rods are not considered to be discrete fibers. Concrete reinforced with fibers (which are usually steel, glass or “plastic” fibers) is less expensive than hand-tied rebar, while still increasing the tensile strength many times. Shape, dimension and length of fiber is important. 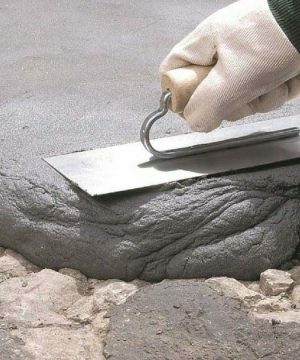 A thin and short fiber, for example short hair-shaped glass fiber, will only be effective the first hours after pouring the concrete (reduces cracking while the concrete is stiffening) but will not increase the concrete tensile strength. 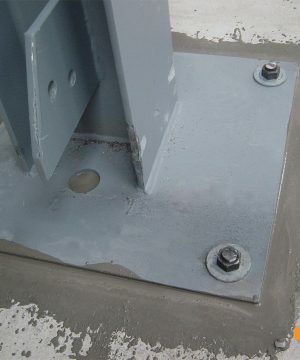 Steel Fiber Reinforced Concrete: A no of steel fiber types are available as reinforcement. Round steel fiber the commonly used type are produced by cutting round wire in to short length. The typical diameter lies in the range of 0.25 to 0.75mm. 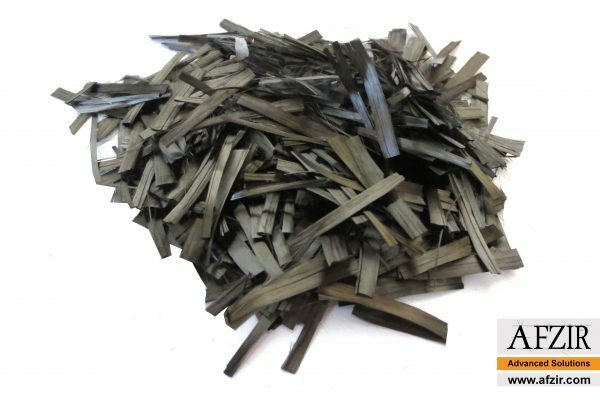 Steel fibers having a rectangular c/s are produced by silting the sheets about 0.25mm thick. Fiber made from mild steel drawn wire. Conforming to IS:280-1976 with the diameter of wire varying from 0.3 to 0.5mm have been practically used in India. Round steel fibers are produced by cutting or chopping the wire, flat sheet fibers having a typical c/s ranging from 0.15 to 0.41mm in thickness and 0.25 to 0.90mm in width are produced by silting flat sheets. Deformed fiber, which are loosely bounded with water-soluble glue in the form of a bundle are also available. Since individual fibers tend to cluster together, their uniform distribution in the matrix is often difficult. This may be avoided by adding fibers bundles, which separate during the mixing process. 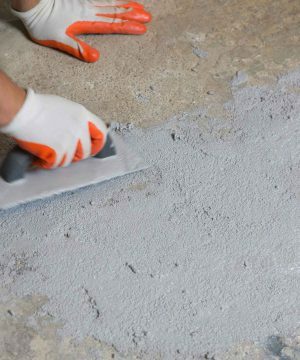 Polypropylene Fiber Reinforced (PFR) cement mortar & concrete: Polypropylene is one of the cheapest & abundantly available polymers polypropylene fibers are resistant to most chemical & it would be cementitious matrix which would deteriorate first under aggressive chemical attack. Its melting point is high (about 165 degrees centigrade). So that a working temp. As (100 degree centigrade) may be sustained for short periods without detriment to fiber properties. 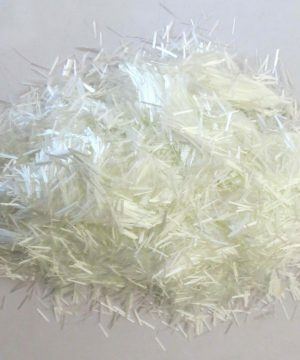 Polypropylene fibers being hydrophobic can be easily mixed as they do not need lengthy contact during mixing and only need to be evenly distressed in the mix. Polypropylene short fibers in small volume fractions between 0.5 to 15 commercially used in concrete. GFRC Glass Fiber Reinforced Concrete: Glass fiber is made up from 200-400 individual filaments which are lightly bonded to make up a stand. These stands can be chopped into various lengths, or combined to make cloth mat or tape. 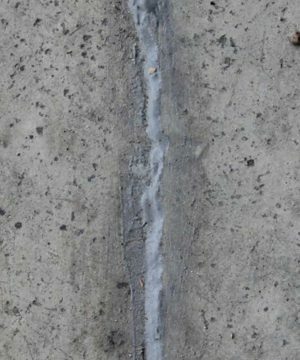 Using the conventional mixing techniques for normal concrete it is not possible to mix more than about 2% (by volume) of fibers of a length of 25mm. The major appliance of glass fiber has been in reinforcing the cement or mortar matrices used in the production of thin-sheet products. 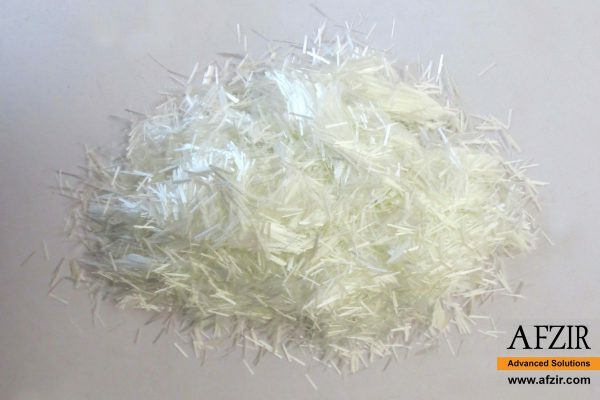 The commonly used verities of glass fibers are e-glass used. In the reinforced of plastics & AR glass E-glass has inadequate resistance to alkalis present in Portland cement where AR-glass has improved alkali resistant characteristics. Sometimes polymers are also added in the mixes to improve some physical properties such as moisture movement. 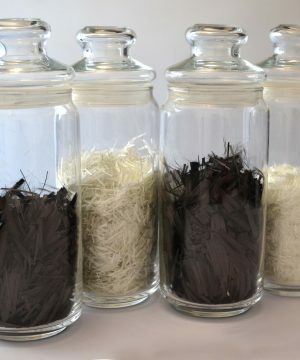 Carbon Fibers: Carbon fibers from the most recent & probability the most spectacular addition to the range of fiber available for commercial use. Carbon fiber comes under the very high modulus of elasticity and flexural strength. These are expansive. Their strength & stiffness characteristics have been found to be superior even to those of steel. But they are more vulnerable to damage than even glass fiber, and hence are generally treated with resign coating. Afzir Company will provide you four main types of chopped fibers including steel, Polypropylene, glass & carbon fibers.